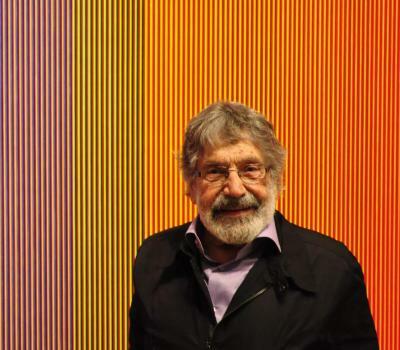 Carlos Cruz-Diez (Venezuelan, 1923) has lived and worked in Paris since 1960.His artistic roots reach back to the Movimiento Cinético (Kinetic Movement) of the 1950s and 1960s. As his thinking on the visual arts has evolved, his ideas have changed attitudes on how color is perceived in art. According to his artist's statement, color is an autonomous reality, devoid of anecdotes, that ev . . .